How you process and recycle your redundant IT and deal with data disposal and erasure is an important part of proving your compliance to GDPR. Every organisation that processes the personal information of EU residents must adapt their data handling processes. Getting it wrong could be costly with fines of up to 4% of annual global revenue as well as the damage to corporate reputation. 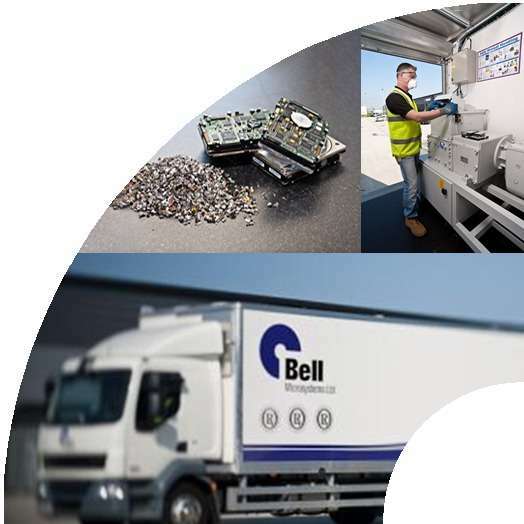 Bell Integration operates a mature, long standing secure asset disposal service which has been in operation now for over 20 years. Fully accredited, we have the experience and expertise that has allowed us to become a strategic partner to many global financial institutions and telecoms companies. Free site survey, analysis and audit of your IT & comms - When required our qualified consultants will visit you onsite to assess the amount of redundant IT and AV hardware you wish to recycle and the amount of media you wish to wipe or destroy. Secure IT supply chain - We only use our own fully vetted engineers and drivers to de-install and transport your redundant hardware, helping to ensure the safety and integrity of your data. 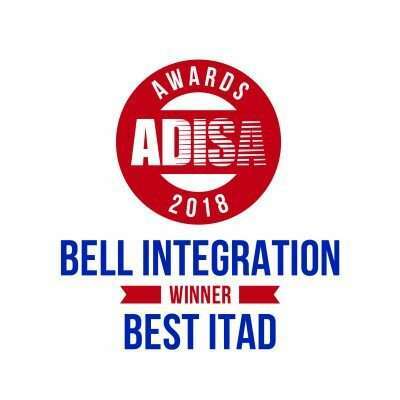 Processing and valuation - At our award winning ADISA accredited facility means you can have the confidence that we have met or exceeded all the requirements and best practices necessary for the safe and secure handling of confidential data. We will assess, test and provide a valuation of your redundant hardware. Government approved CESG certified data erasure - The legislation of data protection, GDPR governance, financial compliance and right to privacy create a legal minefield for businesses to navigate. All of our CESG and Blancco erasure tools provide an audit trail as well as guarantee that your data will be wiped to the correct level. On and offsite hard disk shredding and media destruction - Should you require the next level of security we will data wipe and destroy your unwanted media. We have a fleet of disk shredding vehicles which can provide onsite data destruction of all types of hard and solid state drives, tapes, mobile phones, circuit boards and various other IT related items. Recycling and disposal - Once the redundant IT equipment is assessed we will decide whether it can be recycled and re-sold, or it needs to be environmentally disposed of. Remarketing and resale - Our experienced sales team will get you the best possible returns on your recycled hardware. Helping to offset the cost and create additional revenue streams. Fully certified - We offer Certificates of Destruction and Waste Transfer Notes helping you provide a complete audit trail and proof of GDPR compliance. GDPR compliance can be a real headache for many of our clients. Ensuring redundant assets are correctly processed and data disposed of or erased in a suitable way is a key factor in remaining compliant. We understand that many organisations may lack an understanding of the rules around data disposal and the subsequent industry standards. Our asset disposal service is now in it's 20th year, bringing a wealth of knowledge, expertise and accreditation's to each and every client's data destruction or recycling project.